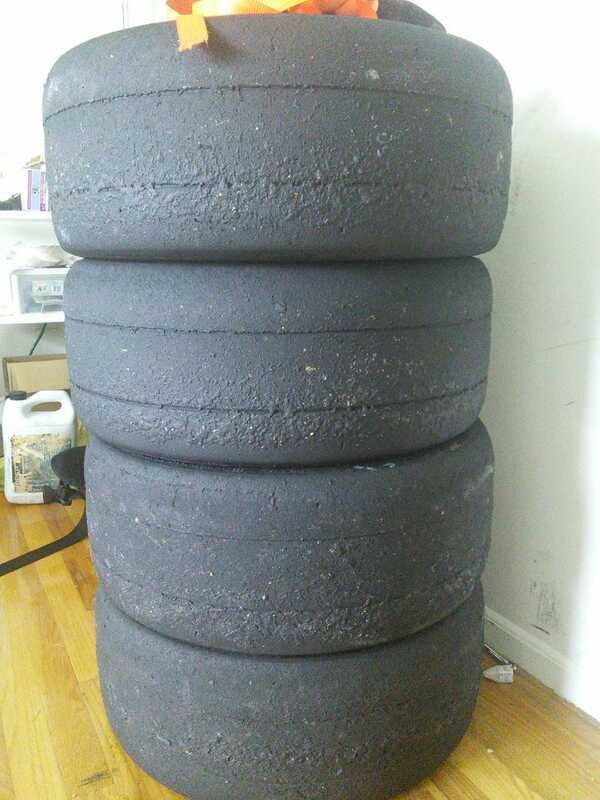 This past weekend I did my 8th autocross on these tires for the season. Having picked them up for $100 at the beginning of summer, I think this was a very good deal. Now looking at them, I would say they are sufficiently toast! I don’t know much about slicks and how long they last but I would say I’ve gotten my money’s worth for sure. Plus it was an epic battle to the finish with my only competition in class. We were neck and neck, back and forth with times, but I managed to squeak out a win on my final run. He was running the same tires and has a similar setup for suspension in his NA. My only real advantage is more seat time with my car but he has years of go kart experience so it was still a fair match up. Anyways, it really was an epic battle. I was ahead by 2.5 seconds and then he somehow dropped 3 seconds off his time. I subsequently beat the time by 2 tenths but hit a cone somewhere. Then my final run had a rerun due to cones not set and I did a hot lap to drop another half second off my time and secure my 1 second victory with a clean run.